Last night we partied at the New Girl Party Bus! The “It’s Hot as Schmidt Out Here” Summer Bus Tour stopped at Coconut Grove and were giving away New Girl swag. We played some coordination and trivia games and won some goodies. The next stop is Chicago, IL :) For more info on the schedule check out their facebook page. 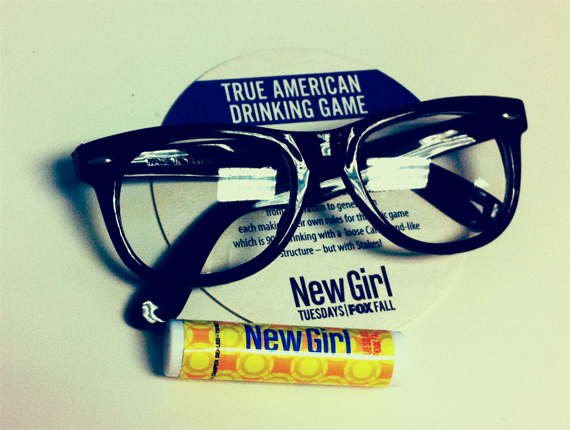 We scored 2 pairs of Zooey Deschanel signature New Girl glasses, lip gloss and a True American Drinking Game coaster. 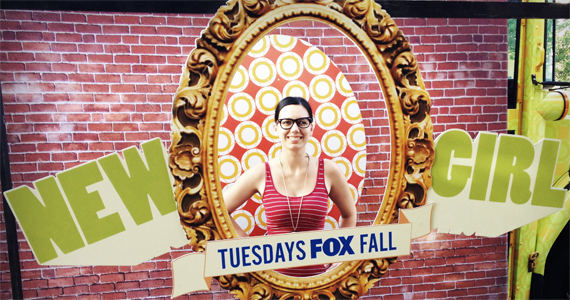 I love new girl! I am so jealous right now! 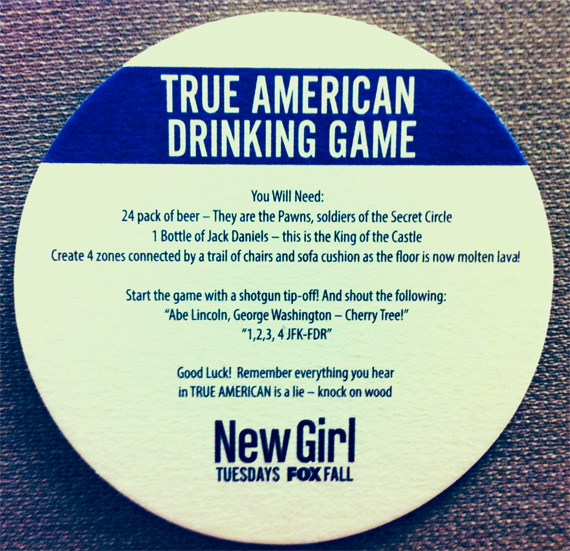 LOL, love those glasses and the drinking game – have to be my favorite!